So I am going to come clean. 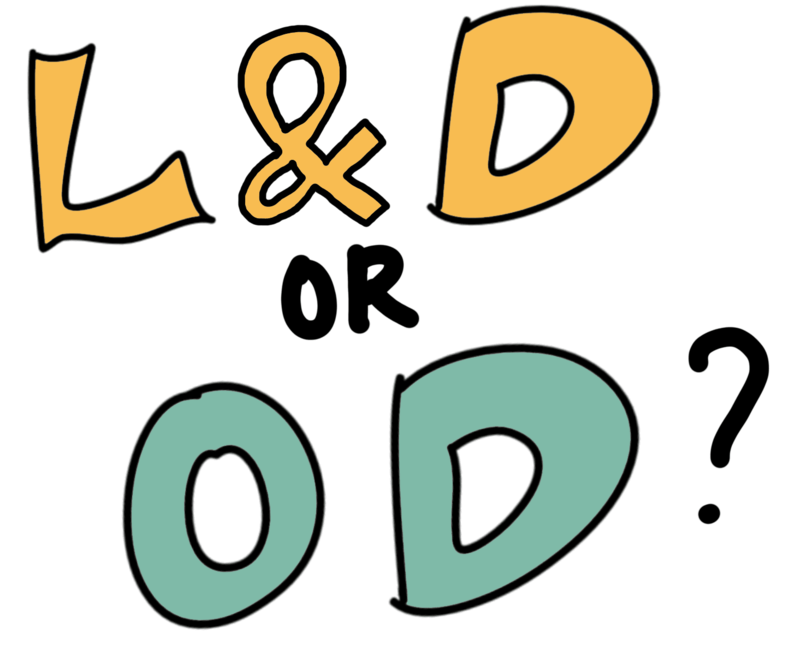 I have never really understood the difference between Learning and Development(L&D) and Organisational Development (OD). I have looked at the definitions of OD and thought to myself “So how does that differ from what I do?”. So I have hidden my ignorance and not really engaged in any discussions about the differences between the two. 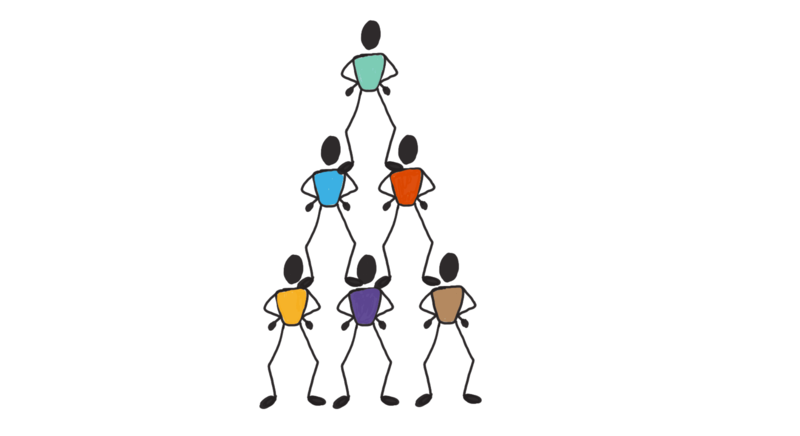 “People development is about when there is an improvement to a person(s). A person can be exposed to an intervention (e.g. a training course, programme or event) designed to help that person make improvements – development! (It’s only the doing things differently that real learning can then take place). He then goes on to talk about how OD is linked to strategy, process and making a difference to the ‘system’, not just people. My thoughts in response to this, have been about how I work with clients. I seek to find out what the organization needs as well as the individuals. 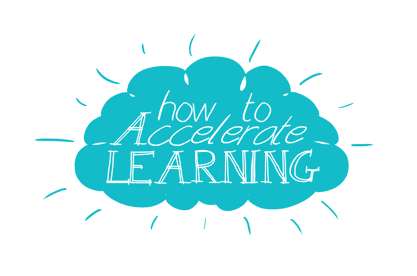 First and most important (in my opinion) of the 5 secrets of Accelerated Learning are “Business-focused and learner-centered objectives”. Business focused, because if the learning makes no impact on the business then what are we doing it for? Learner-centred so that we get buy in and learning then accelerates through the organization. 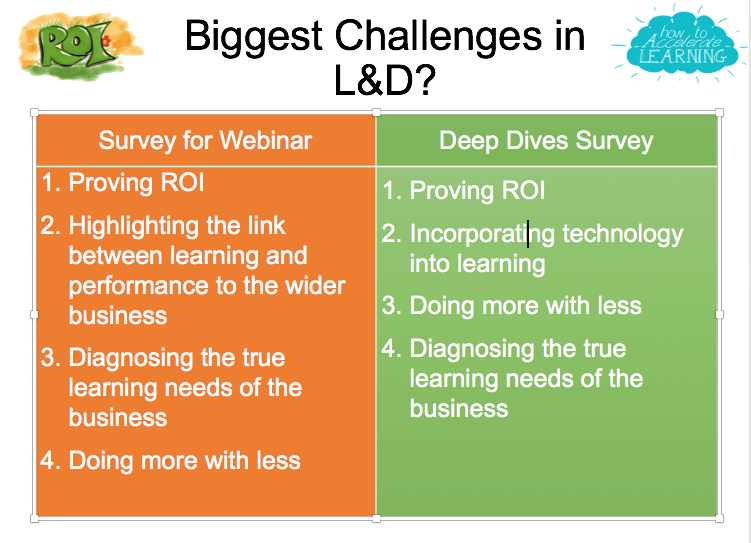 So I get why Steve may say there is a distinction between People Development and OD, but L&D are changing. I spoke about L&D’s Identity Crisis in a recent blog and have been in many conversations about that urge to change with fellow revolutionaries in our LinkedIn group. It is no longer acceptable to design learning or training in isolation from the business. It is not acceptable to change individual behavior without a thought to the impact on the business. 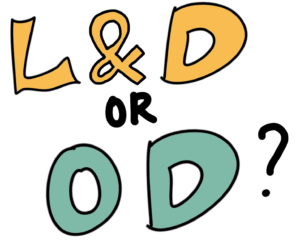 So if that is the case, should we get rid of the distinction between OD and L&D? Is it helpful? Could we join forces and be one! I would love to hear your thoughts, really! In January, as soon a tickets became available for this event, there was a flurry of bookings and so they have poured in throughout the year. This has peaked my interest as to why this was such a popular event. 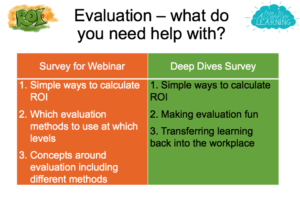 In my head I am thinking, what is really going on is that people find evaluation and demonstrating value difficult because they do not do the analysis part well. Some people believe that stakeholder conversations are all they need. 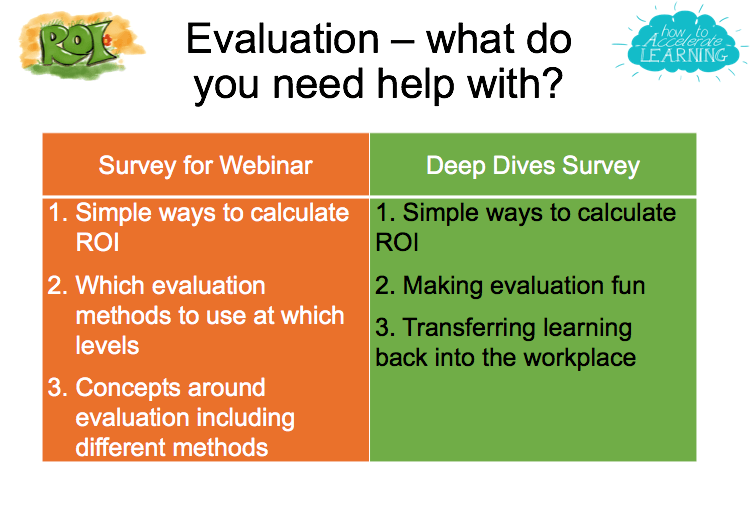 I believe we should have a more analytical approach in L&D, getting closer to the business and finding out what is really going on. 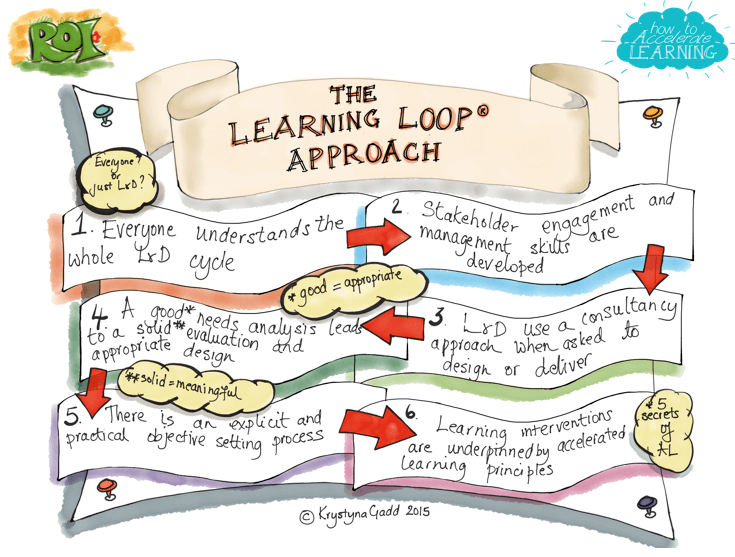 This is what I would recommend, The Learning Loop Approach. As part of the consultancy approach, I referred back to another showcase event “The Consultancy Approach” where we had some great conversations about what that might look like. Finally we discussed what it would look like to have a “learning ecosystem” (phrase stolen from Pedro Valido) and hopefully that discussion is still going on via a message board we created. If this topic has interested you then please get in touch and/or complete our “Deep Dive” survey to let us know what keeps you awake at night. 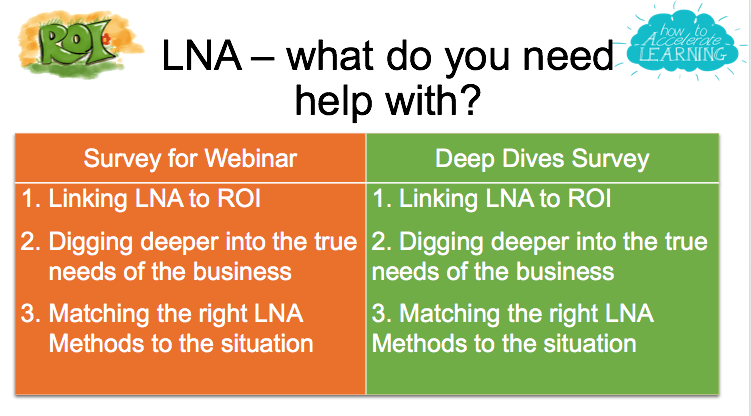 You can also register your interest for our first Deep Dive event on December 4th in London. How do we get leadership and stakeholders to engage in learning? This was a question asked from Kate Rolfvondenbaum (UKAS). In the Creativity Zone at Learning Live 2017. 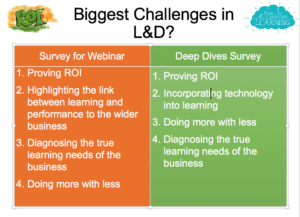 Let’s face it, this is an issue that bothers many people in L&D. 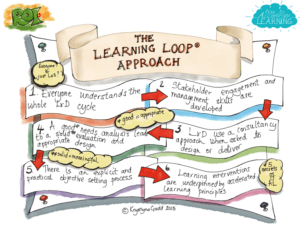 Our Learning Loop Approach gets everyone involved in learning and empowered to learn for themselves. 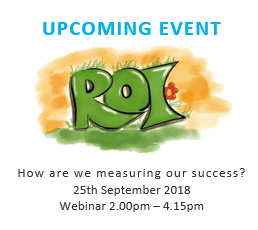 Find out what changes in performance they REALLY need to see and ask how they will know if they have achieved their desired outcomes. Would love to hear your views of other things that would help. Sometimes it takes an inspiring event like Learning Live to jog me into writing a blog and at other times, something upsetting may make me reflect, learn, ponder and blog. In the last week it has been the latter that has made me ponder. What it has brought to mind is the way in which we give feedback, or even speak to others, that before we do it, we should THINK. 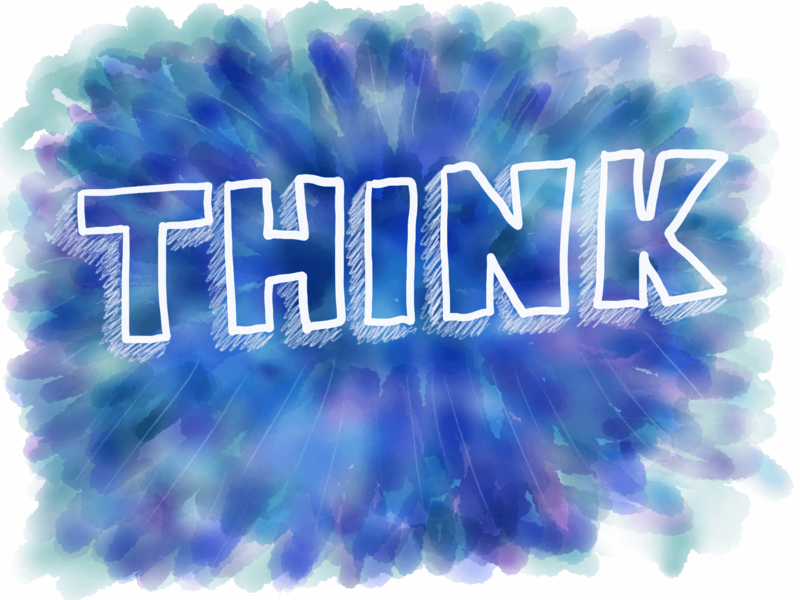 I worked for IBM many years ago as an IT trainer and in that time, there was an acronym (THINK) which was used by the organisation. Since then it has floated over to other arenas as guidance on how to say something and actually whether indeed you should say it. If it is not all of these, what is the risk to the other person? In my case it has been a mild case of “can’t be bothered” followed by a little ” feeling-sorry-for-myself-itis”, but for others it may go much deeper. Considering we just had “World Mental Health Day” on the 10th of October, maybe a reflection of what we say and how we say it is never a bad thing! The best way to learn is ………? 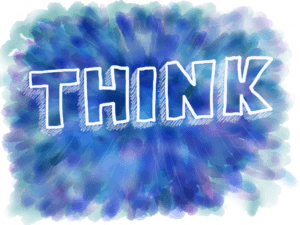 Think about the Honey and Mumford learning styles and let us imagine you are an activist; the sort of person who really likes to get stuck in and experience things, never afraid of putting themselves forward in a learning activity to give it a go. Nothing wrong with experiencing something……. it gives us a valuable opportunity to see how something “feels” and then if we reflect on it, we might just squeeze a little more learning out of it. I recently had a conversation about CPD with someone who was “naturally” an activist – someone just like the person described above. She decided to give reflection a go – something quite alien to her and found it an absolute revelation. For years she had believed that her natural style, was one which served her well and so rarely took the opportunity to do something (like reflecting) which seemed quite unnatural to her. This is where I think we (as a profession) have taken the learning models such as Kolb, Honey & Mumford and sometimes even the multiple intelligences theory (Howard Gardener) and have misused them. 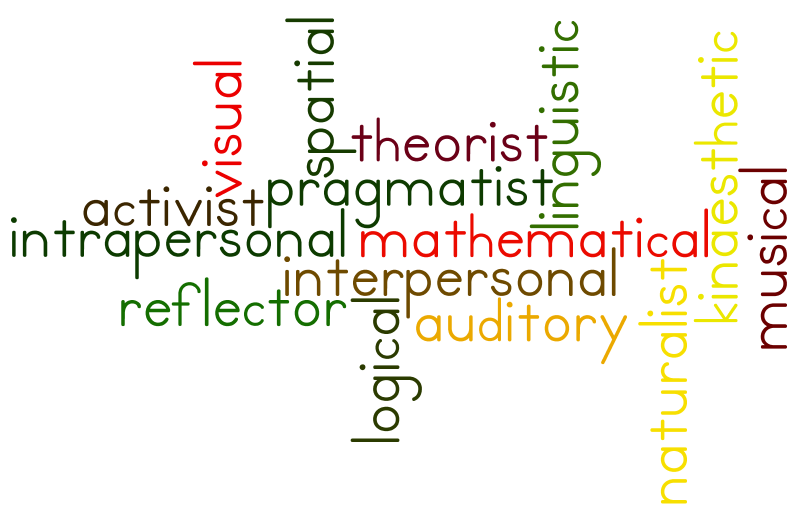 Instead of seeing them quite simply as a palette from which we can choose and blend to make a rich, colourful learning experience, we have been telling our learners it is okay to be a “pragmatist”, or a “theorist” or some other equally limiting type. What we need to be helping our learners to understand, is that the more variety in the ways that they learn, the more chances there are that the learning will stick. For example if you experience something new, don’t stop there…… force yourself to reflect on it and make some notes about the learning experience. Add in some relevant theories to make sense of what you have learned and then think about how you will apply this to your real-life situations. This takes in Kolbs’ and H&M’s theories but rather than limiting the learners, helps them to expand their experience and have a better chance of retaining the learning. Neuroscience tells us that by using different senses, we engage different parts of the brain making remembering easier. For example, writing, engages the motor cortex and takes pressure of the energy hungry prefrontal cortex (the higher thinking brain). So making notes can help embed learning better than just listening or watching on its own. 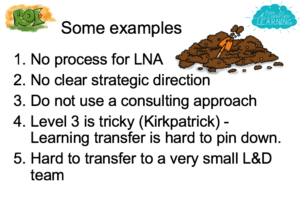 Some L&D professionals, as part of a learning needs analysis, will assess the learning styles of their learners, presumably with the intention of designing the learning to suit that style. In my opinion, it would be far better if they considered all the different ways we can learn and designed the learning intervention to be rich as well as varied. So, make it visually, stimulating and have discussions about the topic, whilst incorporating emotions and benefits. Include reflection activities, theories, opportunities to create meaning and to explore the learning. Make the most of our playful and inquisitive natures by arousing curiosity to draw the learners in. Challenge the learners to go beyond what is their most comfortable, but make it a safe environment to do this is in. Most of all design learning with variety and think about how to make it memorable. So my message is simple, as implied in the first paragraph……don’t limit your learners to a style, orchestrate a rich and varied learning experience for your learners and give them opportunities to learn and imbed the learning in as many ways as possible. Make it interesting, to keep them (and you) interested! 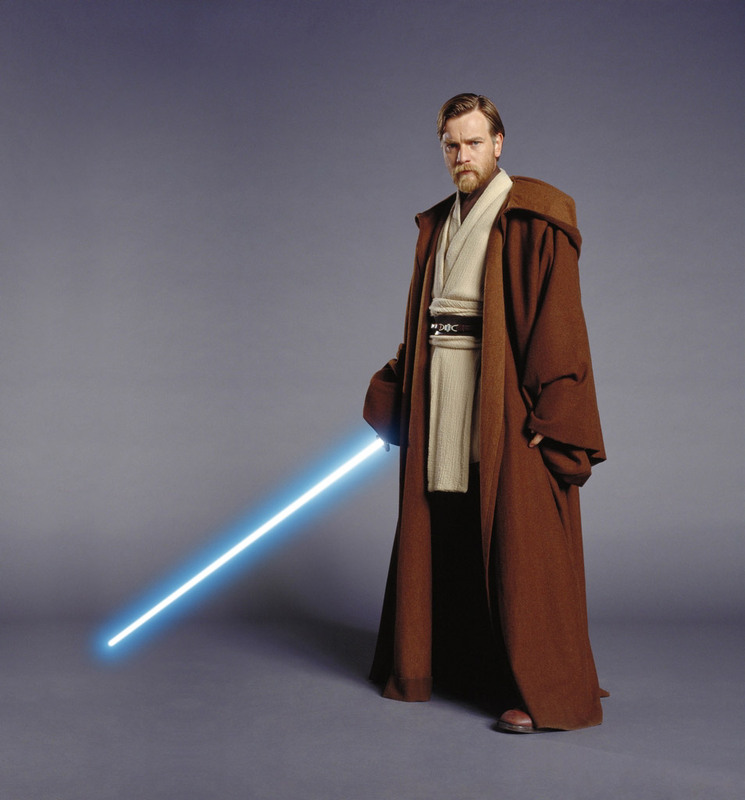 I often say when training trainers, that I will be using my Jedi mind tricks to influence them – if only it were that easy! On the 18th of October I had the pleasure of attending the inaugural meeting of the Brain Friendly Learning Group in Leeds, hosted by Leeds Building Society and run by Stella Collins. The topic was “Principles of Influencing” based on the work of Dr Robert Cialdini. This is a fascinating topic, because all of us, each and every day need to influence others. One of the first things I learnt which will be of use to everyone is that if we ask for something, for example, cutting into a queue, we are very likely to get it, just because we asked! If we add a “because….” to the request we are even more likely to have our request accepted. How brilliant is that? So…. could you indulge me a few minutes of your time and read this blog because there will be at least six things you will pick up that you will be able to use? Liking: make friends and influence people! A genuine affinity for someone. Social proof: Other people have bought into this idea, so why not you? 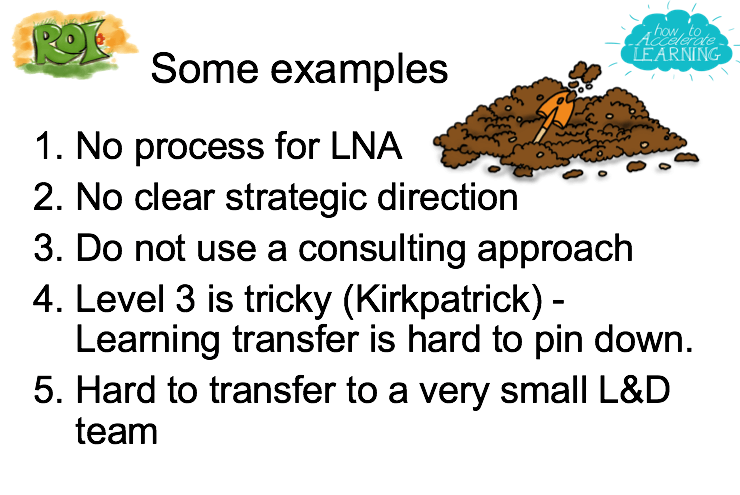 I would like to persuade you to attend the Learning Loop on the 31st of January in Leeds. Having been a trainer for 20+ years and studied accelerated learning for a number of years (AUTHORITY), I have created the Learning Loop, a creative and innovative way of training trainers. I am passionate about helping trainers become the very best they can be, because I remember so well what it is to be under pressure to deliver training to a short deadline with almost impossible targets (LIKING?). If I promise to send you a freshly designed training activity every month – would you mind filling in the form below? (RECIPROCITY). Before you make up your mind, you might want to find out what others are saying about the Learning Loop (SOCIAL PROOF). 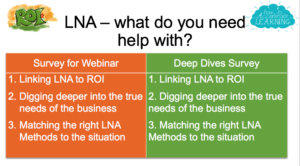 If you have filled in the form below and are interested in finding out more about the Learning Loop, why not contact me and request a free, no obligation, consultation to where I can help define your needs and explore how the Learning Loop could help you? (COMMITMENT). I am running an open workshop on January 31st in Leeds and there are only 16 places maximum – some are already booked so to avoid disappointment and find out what offers are available this month get in touch (SCARCITY). Curious? Persuaded? let’s see if the principles of persuasion have worked, or will I have to use my Jedi mind tricks?